You and your horse can come to the yard for a lesson on whatever topic you feel needs attention, whether catching, halter training, ground schooling, or riding. You can learn at your own pace with one to one attention, gaining confidence. 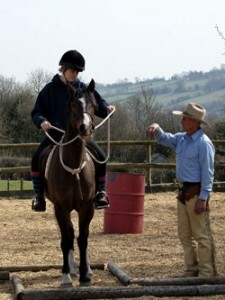 Also you are welcome to work with one of our own horses who are wonderful teachers to practice your groundwork. Lessons: £30.00 per hour including use of all facilities.